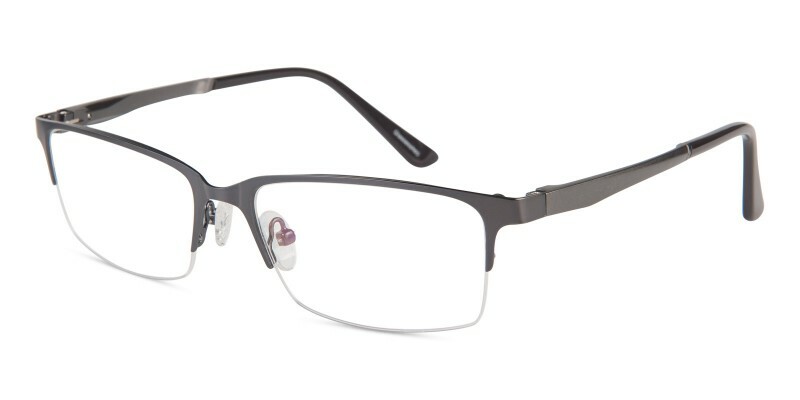 Matthew Rectangle clip-on eyeglasses combine flexible and extremely durable TR material clip-on and polished metal frame together. Each frame and matching sunshade is high-quality and comfortable. 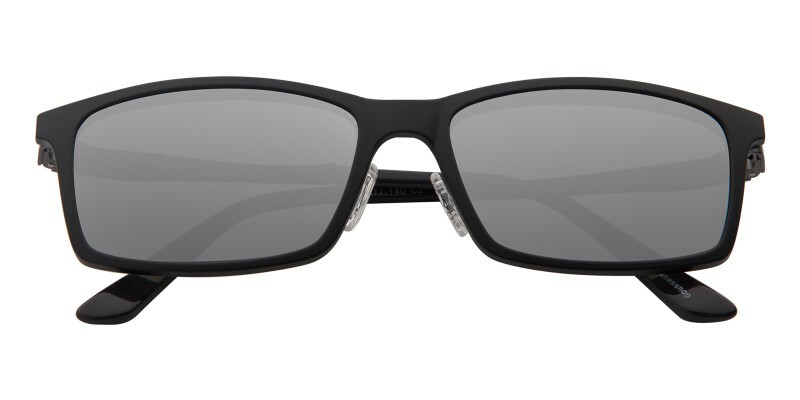 Magnetic clip-on sunshade sets come with prescription eyeglasses and a polarized sunshade that snaps on securely to the front rim with hidden magnets for seamless sunglasses. 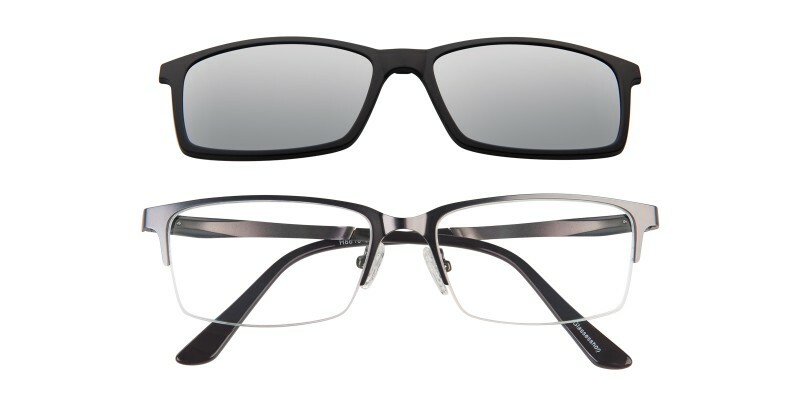 Polarized lenses will protect your eyeglasses from harmful sunlight in summer. They are valuable in Gunmetal, Brown, Blue and Black colors. This is a great choice for men in summer. 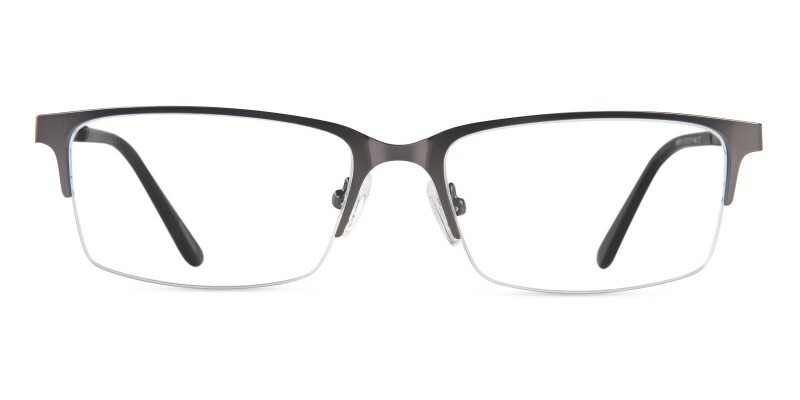 Love my new glasses.Without the ability to try on I was a little hesitate to purchase.So glad I did now because they fit extremely well and look good also.They also have the silicone nose pads so they don't slip down while bending over.Also like the clip-on sunshade that you really can't tell is clipped on.Repeat customer for sure now after seeing the quality of the Matthew's with clip-on sunshade. Surprised at the quality of the frames and the clarity of the lenses.Even has silicone nose pads so no more slipping down when bending over.Their light weight also.Very happy with this pair of Matthew's with clip on sunshade.Without the ability to try on before purchase,I am very satisfied with the outcome.This pair has made me a future customer for my next pair of glasses. really like the spring hinges and the sunshade. good for active lifestyle.